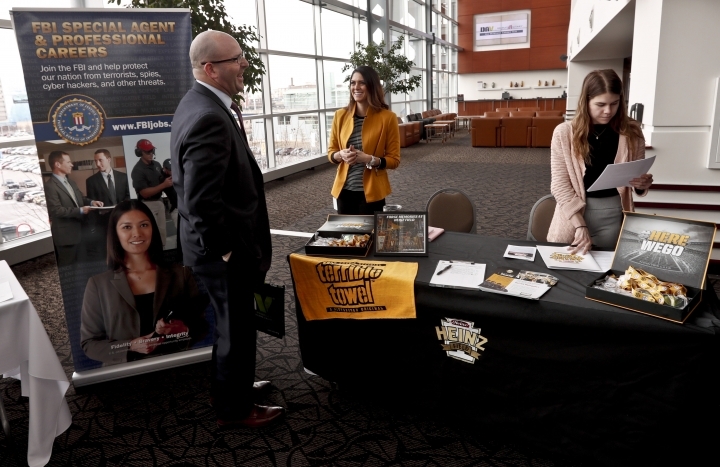 WASHINGTON — Companies added the fewest jobs in 18 months in March, a private survey found, suggesting employers may have grown more cautious as signs of slower economic growth have emerged. 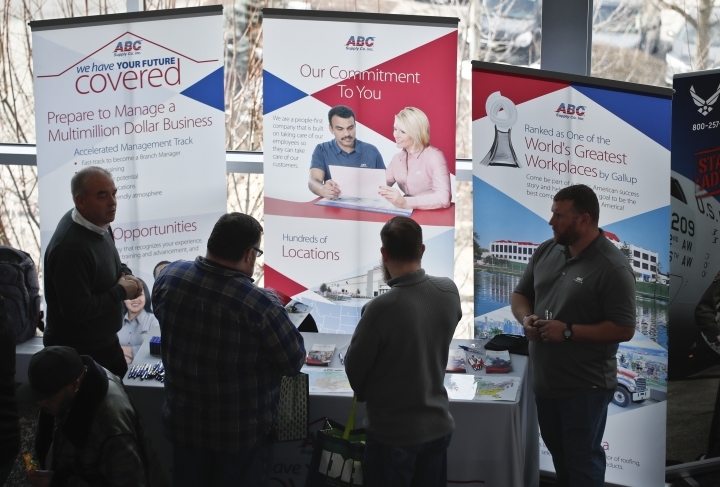 Payroll processor ADP said Wednesday that businesses added 129,000 jobs last month, down from the previous month's gain of 197,000. Still, the job gains in March are enough to slightly lower the unemployment rate over time. All the job gains were in service sectors, such as education and health care, which added a combined total of 56,000. Professional and business services, which include engineering, accounting, and other higher-paid work, added 41,000. Manufacturing and construction firms both cut jobs last month. Small businesses added just 6,000 jobs, far below the hiring by large and medium-sized businesses. Smaller companies typically struggle to compete in hiring with bigger businesses when fewer workers are available. Bigger companies can often provide higher pay or greater benefits. ADP's report does not include government employees and frequently diverges from the official figures. The government's jobs report, due Friday, is expected to show that employers added 170,000 jobs last month and the unemployment rate remained 3.8%. The U.S. economy appears to have slowed in the past couple of months, with Americans pulling back on their shopping, home sales flattening, and businesses reining in spending on large equipment, new office towers and other buildings. Global growth is also slowing, with Europe nearly in recession and the U.S. trade war with China weighing on both countries' economies. Mark Zandi, chief economist at Moody's Analytics, said that taken together these trends point to a broader economic slowdown and cautious hiring by employers. "It's fair to say that the job market is throttling back meaningfully from where it was months ago," Zandi said. Still, other measures of hiring and employment paint a more positive picture: The number of Americans seeking unemployment benefits remains very low by historical standards, a sign that companies are laying off few workers. And companies are advertising a record-high level of available jobs. The economy expanded at a 3.8% annual rate in the spring and summer of last year, the fastest six-month expansion in four years. Yet since then the economy has decelerated: It grew just 2.2% in the final three months of last year. And most economists forecast it expanded at just a 1.5% to 2% pace in the first quarter.